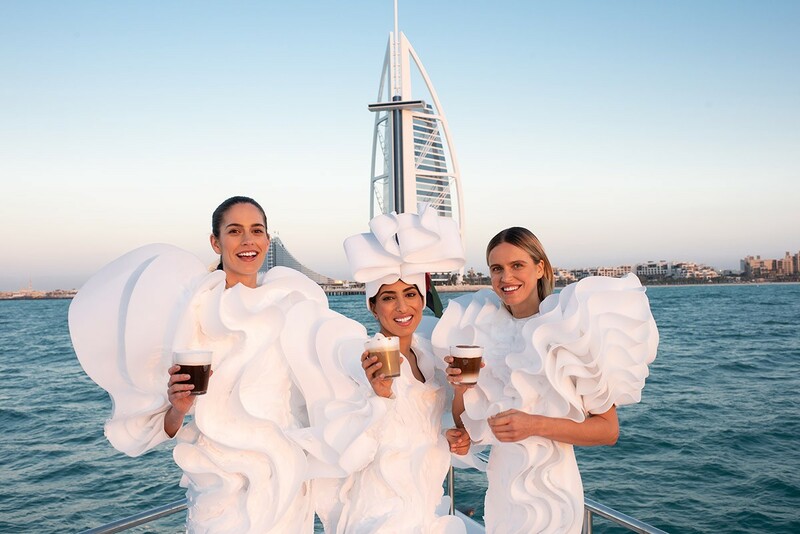 As the weather begins to heat up, Costa Coffee UAE is keeping things cool by combining high-fashion with insta-worthy iced drinks to showcase ‘Cold Foam Couture’. 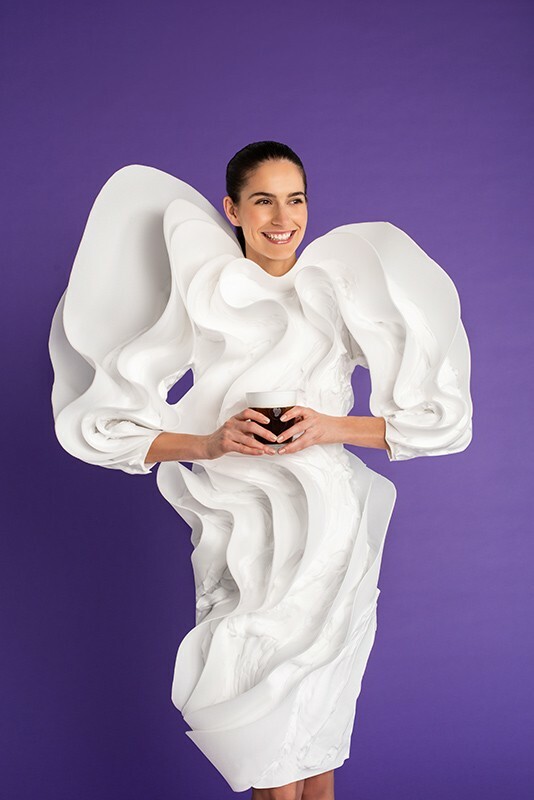 Influenced by Costa Coffee’s new velvety cold foam, an aerated skimmed milk foam topping, costume designer to the stars, Kate Tabor, created three exclusive dresses mirroring the luxury milk ripples and taking inspiration from the structural designs of Alexander McQueen and renowned haute-couturier Iris Van Herpen. The three stunning dresses took London designer Kate over three weeks, 10 metres of wetsuit material and 10 litres of cold foam to create. In addition to two designs from London, Kate has partnered with local fashion designer Huda Al Nuaimi to create a dress inspired by the region. 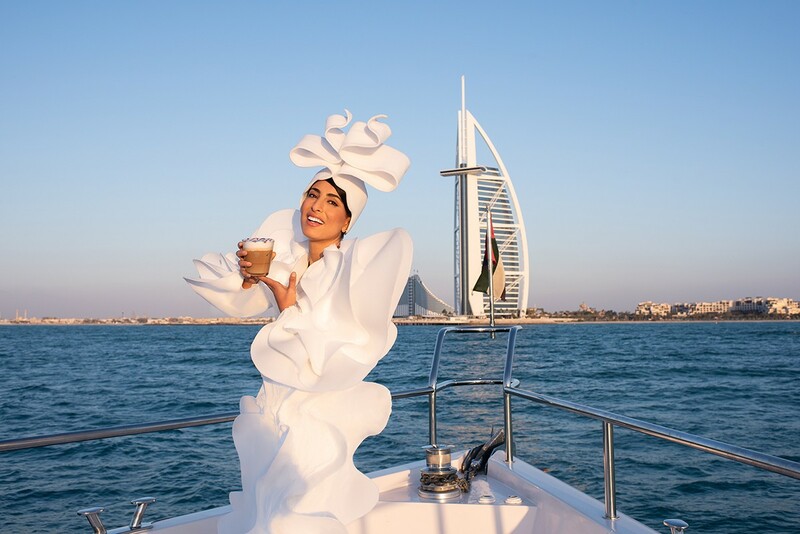 The final Middle East design incorporates an elaborate headdress, in-keeping with local culture, giving the overall aesthetic a high fashion twist. 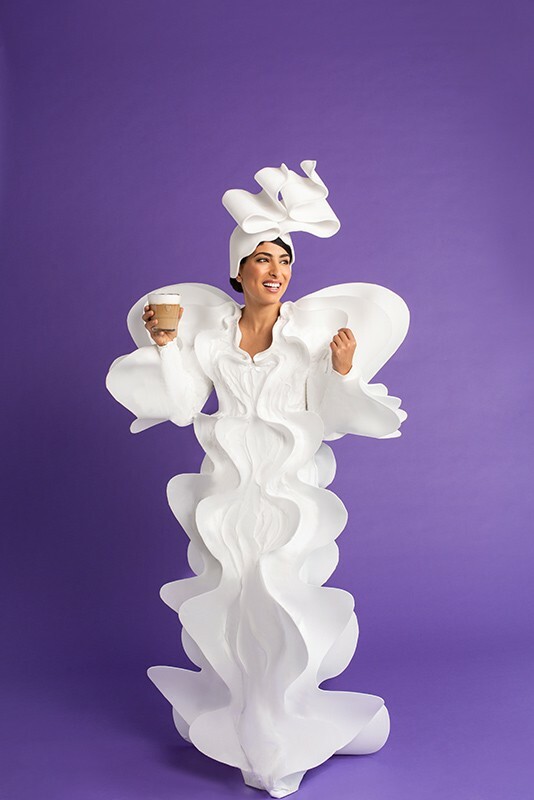 The Cold Foam Couture creations were commissioned to celebrate the launch of Costa Coffee’s new Cold Foam, which adds a flawless finish to a range of refreshing cold drinks, including a Premium Iced Flat White, Reinvented Iced Cappuccino, Cold Brew and introducing the new Iced Caramel Macchiato. 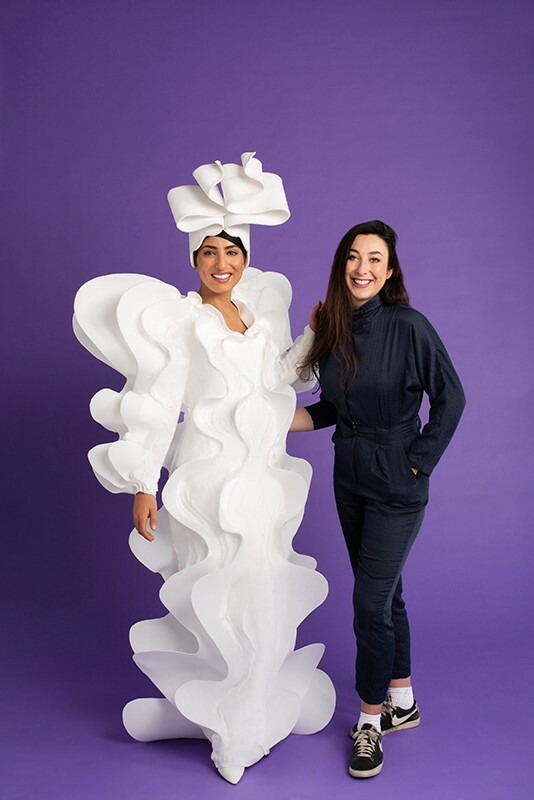 Designer Kate who has created awe-inspiring costumes for music videos for the likes of Katy Perry and Kylie Minogue, began the process by sketching designs, then experimenting with delicate foams ahead of crafting robust neoprene shells, which supported the overall structure of the dresses. She consulted with Huda to co-create the perfect local design to complement the collection and fuse Western and Middle Eastern culture. 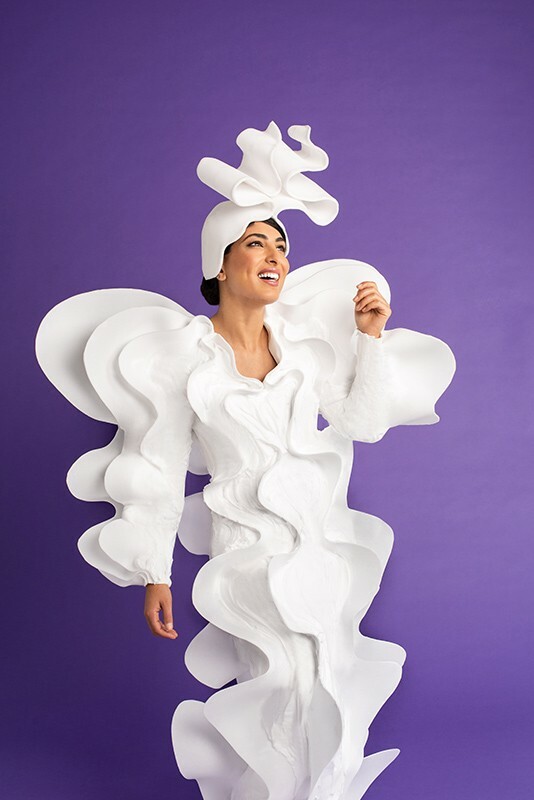 The foam application process took three hours per gown. The limited-edition Iced Caramel Macchiato (starting from AED 22.25) is made with a vanilla latte base, a luxurious caramel cold foam topping and a drizzle of caramel for that extra dose of sweetness. The Premium Iced Flat White (starting from AED 19) is expertly handcrafted by Costa Coffee’s skilled baristas using the purest extract of the coffee bean. In the same way the traditional ‘hot Flat White’ that fans know and love is finished with texturised milk; so too is the iced version using the chilled Cold Foam to recreate the luxurious silky texture. Cappuccino drinkers can enjoy the Reinvented Iced Cappuccino (starting from AED 16.75) made with either a double or triple extraction of espresso and topped with the delicate chilled milk foam. For a twist on your favourite Costa Cold Brew, try the Cold Brew with Cold Foam (starting from AED24.5). The meringue-like whipped milk floats beautifully on top of the Cold Brew and is a great way to add milk to the drink without diluting the coffee flavour and adding visual and sensorial excitement to the coffee drinking experience. For more information on the Cold Foam range, head to COSTA’s Instagram page, or visit www.costacoffee.ae.